The debt-to-income ratio is not going down anytime soon and you don’t see any way of getting caught up with your monthly mortgage payments in the near future. The bank refuses to speak to you further about arrangements until a substantial amount of money is given towards the debt owed. You, however, don’t have thousands of dollars lying around the house. So what do you do? 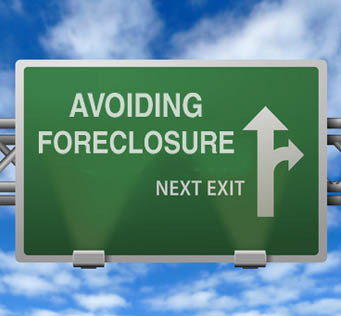 A Pittsburgh foreclosure lawyer can help. Ensure that you have been treated fairly. Upon signing a financial agreement with you, and being contracted for work, the attorney will investigate all correspondence between you and the bank to ensure that proper treatment has been given. The Pittsburgh foreclosure lawyer will also review your mortgage agreement to make sure that evidence of predatory lending is not present. Prepare all paperwork and get ready to answer questions in-depth. A foreclosure attorney will want to know everything about your financial situation so that he can determine the best course of action to take. An attorney may opt to negotiate for more time if you believe that your financial situation will improve in coming weeks. He may choose to ask for a loan modification or suggest a short sale if you can no longer afford your home. Attorneys who promise you the world. Any Pittsburgh foreclosure lawyer who says that he can help you keep your home without first learning of your financial standing probably can’t do much for you. The case may be that you can no longer afford your house. How, however, would legal counsel know of your inability to keep your property unless you tell him first? Something else to watch out for is an attorney who tells you that all he can do is buy time. If you have organized paperwork and scheduled an appointment with him, then he should do more than tell you that you are destined for financial disaster. We are your alternative when you are in a financial bind and need to sell your home fast. We pay cash for houses and offer fair market value for real estate. Caymus does not discriminate against homes but rather accepts properties in all conditions. We invite you to request more information from our website to sell your home and avoid foreclosure today!